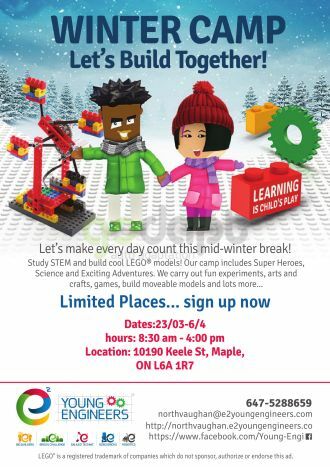 e2 Young Engineers - North Vaughan camp is a fresh and fun way for kids to spend their school break! With specially-designed e2 Young Engineers - North Vaughan models, LEGO® games galore, and plenty of time for free-play, the kids are always having fun. Camps are specially designed for kids ages4-12 and are staffed by trained, screened e2 Young Engineers - North Vaughan teachers.